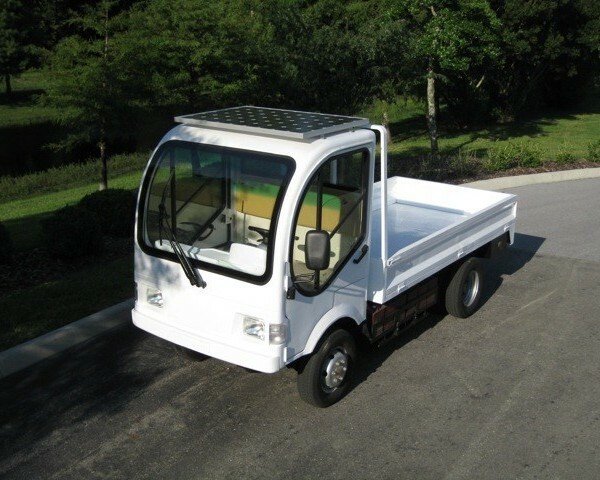 We have solar kits available in all shapes and sizes, perfect for every vehicle in our fleet. The larger the roof, the more solar we can install! All of our panels are made in the USA! 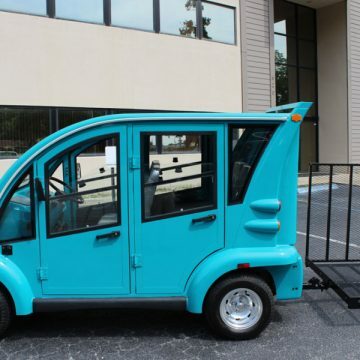 These solar panels are made in Charleston, South Carolina! 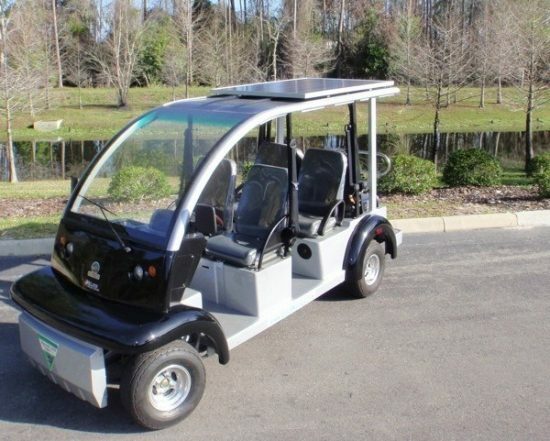 We can custom make a solar panel to fit any size of electric vehicle or golf cart. 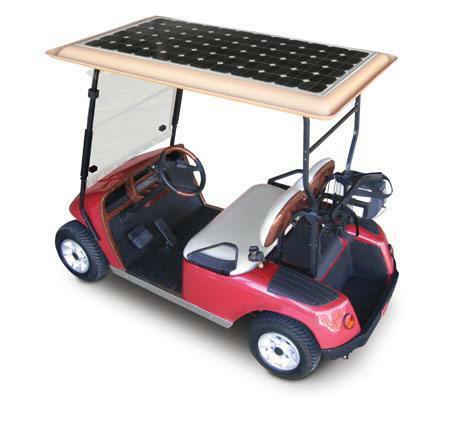 The price stated is for one solar panel. 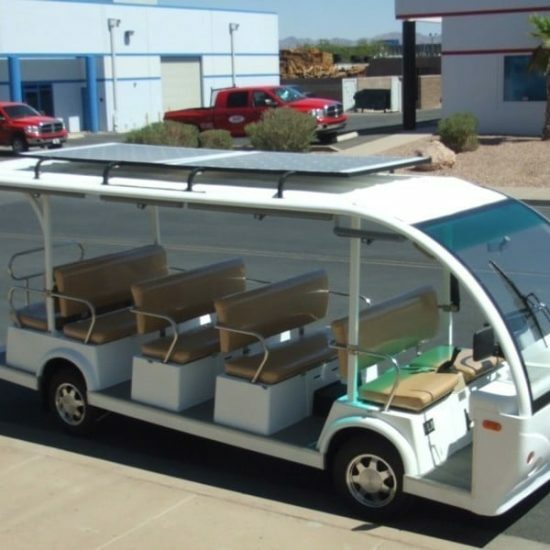 Some of the larger vehicles such as our electric shuttles can have two solar panels installed, if desired, for even better gains in solar power. These panels generate over 200 watts of power! Module: 205 Watt Poly-crystalline silicon tempered glass and anodized frame. 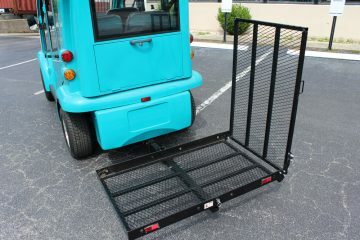 Stronger panels are available for an additonal charge. Controller: Maximum power point tracking (MPPT). Multi tage with bulk, abs, and float stages. Hardware: Powder-coated aluminum and stainless steel with rain gutters. Wiring: Industrial grade with locking connection.